Introducing LucieMints - reward your horse this Christmas! A tasty and nutritious feed conveniently pelleted, to offer from your hand when clicker training or rewarding your horse. Made from only the finest quality lucerne and dried whole peppermint. Totally free from all added sugars. Available now in both 750g tubs and 2kg bags. Call to find out more. Christmas is getting ever nearer! We will be closed on Friday 24th December 2010 and will re-open on Tuesday 4th January 2011. Simple System fed pony, Kintillo Faberge won his class and was Show Pony Champion in the SEIB pony class at HOYS this year. 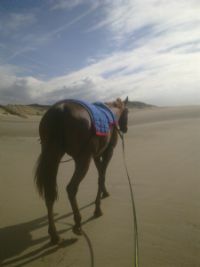 Only weeks before, he had been very poorly with laminitis. However, after switching to our feeds he has not looked back. 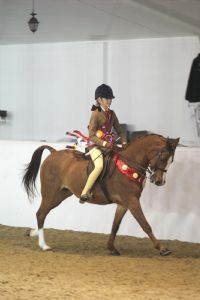 Please find attached a pic of Kintillo Faberge who was winner and Show Pony Champion in the SEIB pony Class at HOYS. Judge Robert Oliver said “It is lovely to see a pony in perfect show condition that is not carrying fat but is well covered”.